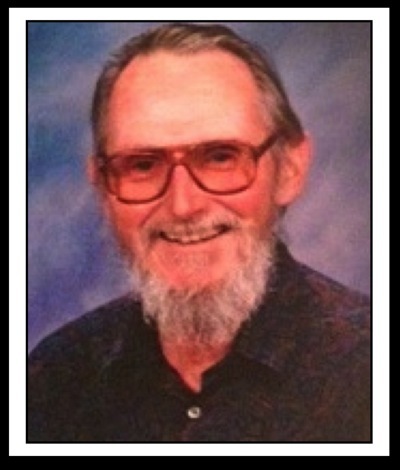 Richard Purtill passed on 4 December, 2016. This is the last interview recorded with him. An Interview with Dr. Richard Purtill by Gord Wilson, August 2016. A: One thing that doesn’t ordinarily come up is the fact that I wrote a play when I was in high school, which I also acted in, along with friends of mine. A: Lakewood High School in Colorado. That gave me an opportunity to write something that was performed, that I could be in control of, to a certain extent. One of my friends was a Jewish fellow, and he played the Czar of Russia, which, if you’ve ever watched Fiddler on the Roof, you know how that worked. I didn’t get a chance to do anything similar for a long time. I was working at a resort in Colorado, and a young lady said, “I hear you’re interested in religion,” and gave me The Screwtape Letters by C.S. Lewis. That started me on my spiritual quest. I decided to join the Army for three years. I wanted to see the world, and I did. The unit was the 34th Operations Detachment, and they sent me over to England. While I was there, I met Frank Sheed and Maisie Ward. That’s pretty well documented in the appendix to the Ignatius version of Reason to Believe in the essay entitled “Chesterton, the Wards, the Sheeds, and the Catholic Revival”. I was converted by reading G.K. Chesterton, and from him I also gained an affection for Mary. I read an Anglican book about St. Justin Martyr and the early Church fathers, and realized the early Church was Catholic. When I got back from England, I decided to go to the University of Chicago. Q: Is there a reason you picked University of Chicago? A: Partly because several of my friends were there. It’s a good university. If you came up with a solution that was sort of against the rules, but you said, ‘this is important’, they’d say, ‘well, OK, try it that way’. Rather than ‘that’s against the rules‘ and so forth. Q: What did you study there? A: I basically entered graduate school in philosophy. I’d studied philosophy in England, as part of the Catholic Evidence Guild. Frank Sheed gave me my first philosophy class. I met my wife there, at the University of Chicago. She had a teaching assistantship. They had a very good math department. She was a mathematical statistician. Q: How did you begin writing textbooks? A: Publishers‘ representatives would come around and ask if you’d like to do a textbook for them. If it was successful, they got a commission. That started me on writing the various books. At the beginning, they were mainly logic books. The first one was Logic for Philosophers. Then Logical Thinking, which also came out in a Japanese edition, Argument, Refutation, and Proof, and A Logical Introduction to Philosophy. The most popular of those was Logical Thinking. At the same time, I wrote some other things. Reason to Believe was published by Eerdmans a little later. Philosophically Thinking was a thing I did with a couple of other profs.. Then Thinking About Logic and a book called Philosophical Opinions which I did with Peter Kreeft and Mike McDonald. Then came C.S. Lewis‘ Case for the Christian Faith, which was the most successful. Lord of the Elves and Eldils followed that, and then Thinking About Religion, which also came out in a German edition, Moral Dilemmas was largely an editing job. After that came J.R.R. Tolkien: Myth, Morality, and Religion. I did pretty well with the books. They mostly paid for each other. Four of these books were republished by Ignatius Press in expanded editions, including additional essays as appendices. Q: When did you begin writing fiction? A: My wife and I went to Greece on a vacation trip. I was very intrigued by the bull leapers, and so forth, so I wrote The Golden Gryphon Feather. The editor of DAW Books was a man with a lot of vision, but not always good at getting things done. He discouraged an early version, and I finally came out with The Stolen Goddess. My agent, Ruth Cantor, got me an offer from Doubleday, and that was for Murdercon. Then there was Mirror of Helen, which was also published by DAW Books. The Parallel Man was published a little later. Q: With The Parallel Man you switched over to science fiction, sort of. A: Yes. After that, DAW Books was no longer run entirely by Donald A. Wolheim. His daughter took over. The editor said, “we like your books, but they’re not selling.” It might have been a good thing if I could have stuck with Donald. Then I published Enchantment at Delphi, which was a Harcourt Brace Jovanovich book. We did very well with that book. Then there were a few books published later through Author House. About the philosophical books, I like trying new things. In some cases that was successful, in some cases not. I made some income from the books, and sometimes quite a bit of income. When I first studied logic books, there were many by a guy named Irving Kopy. He wrote about logic. He did everything conventionally. A lot of other authors followed him, and they weren’t all that successful. I think I joked one time about ‘Copy Books’, copying the style of Kopy. Q: I think it’s in Thinking About Religion You have these little dramatic scenes. A: That was sort of my transition from writing philosophical books to fiction. I’d give a little scenario with each chapter. Q: You also started writing short stories. A: My first short story was after a book was out. I didn’t start out as many authors do, with short stories. I started with a book. Q: Would that book be The Golden Gryphon Feather? A: Yes. One of the things that was interesting for me was that there’s a story about Theseus, who went down to the depths and conquered the Minotaur and so forth. But there’s nowhere in Crete where that could be. So I said, OK, I’ll make him a depth where this could take place. I had this picture of a good land and a bad land. So that was fun, and that gradually got developed further and further, especially in the later books. So I found writing the fiction books especially interesting. Q: What about the ‘lost’ science fiction stories that were later published with The Parallel Man? Did you write those after that book? A: The Parallel Man was the fourth book for DAW Books. By then I had published some short stories. I had some good magazines that printed my stuff. One of my first published short stories was a mystery called “A Cleverly Rearranged Murder”. That was in Alfred Hitchcock’s Mystery Magazine. Q: Your stories are all written in the first person, which is somewhat unusual. A: I write from the vantage point of what I call the “viewpoint character”. They ought to be fairly interesting in him or herself. Certain things about that character are distinctive, and there is always something added. For example, in The Golden Gryphon Feather, you have Chryseis, who likes talking with people and doesn’t like to be stereotyped. Or the knight in The Parallel Man who refers to people as “cit”, short for citizen, a modern term he picked up which indicates no rank or class. Usually I like the viewpoint character, and feel bound up in their fortune. I have sympathy for the character in “Something in the Blood”, but not much sympathy with the narrator in “Other’s Eyes”. The idea for that story came from a remark someone in the philosophy department said, “how can one see with other’s eyes?” But there is something interesting about each of the characters. They are never just there. Everyone in the stories has their own free will. Q: What’s different about writing in the first person instead of, as is generally the case, the third person? A: You have to stay in the viewpoint of the character, and know the character, how he or she acts. My idea of faster-than-light travel is called “star flitting”. It freezes your emotions for a while. So I have to know how that will affect a character. That happens in The Parallel Man and some of the short stories. I think it’s a good way of writing. The reader gains a certain amount of interest in the character, and then in what the author does with the character. The viewpoint character feeds into the plot. For instance, in Enchantment at Delphi, I draw on my own visits to Greece for the Greek food Alice Grant discovers and the places she visits. The reader may not have been to Greece, but they discover it along with her. This could be an interesting story without a mythological character, but it gives me a chance to introduce the reader to the Greek myths, which is part of what makes it a fantasy. Q: Many of your stories have some connection with Greek myths. A: I handle the myths the way Homer did, enhancing and rounding them out as I go. Most of the people introduced in my stories have some connection with each other, in which someone is discovered or something happens. In Enchantment, Alice meets a young man who could eventually be her husband, as in a routine story. But because of her interest in Greece, Apollo reaches out to her. Apollo is partly based on historical myths and partly one of my characters. As another example, I was very interested in the Bull Leapers, and worked out the details in The Golden Gryphon Feather. In that story, Chryseis makes friends with Ariadne. Some characters are strong enough for a sequel or even a series of stories. Enchantment was so popular, I wrote a follow-up book with Alice Grant, The Rock of Sybil, as yet unpublished. I could have written more with that character. In stories about famous people, like Odysseus, I try to make them interesting, someone people would like to read more about. In stories from myths, you make sense of them your own way. Odysseus was trying to get home for ten years. What happened on the way? I try to give a new view of familiar things, to introduce something new and different. In the case of the Eleusinian Mysteries, no one outside of the group of initiates knew what they were. But they had a haunting phrase, “The Holy One must bear the Great One”. I used the idea in my novel, The Eleusinian Gate to draw an affinity to the Catholic religion. I give my own interpretation of the Mysteries. I write what’s interesting to me, and I hope will be interesting to others. copyright Gord Wilson 2016, reprinted by permission. 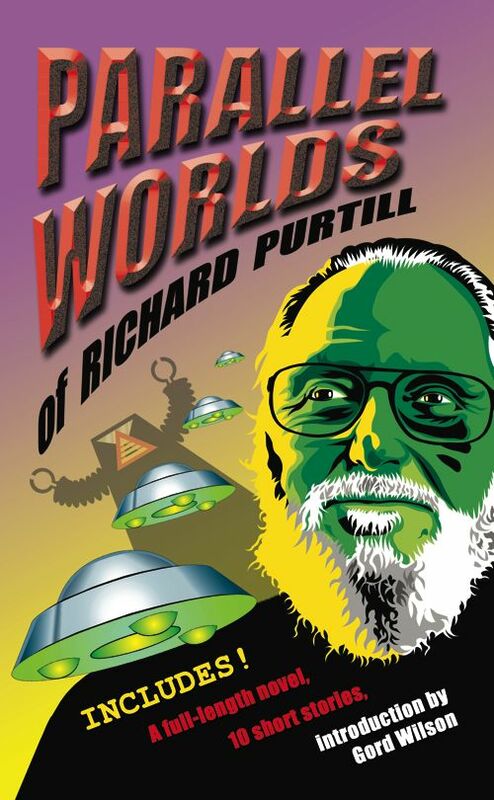 Parallel with his fantasy/ fiction writing career, Dr. Purtill has published numerous non-fiction books. In 2013, his study of C. S. Lewis' writings, C.S. 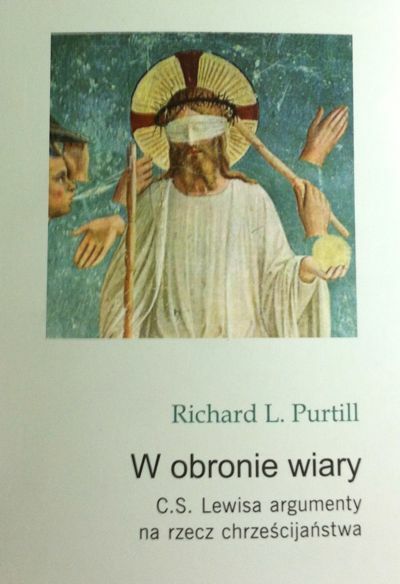 Lewis's Case for the Christian Faith, was republished in a Polish edition. It has been previously published in the US by both Harper and Row and Ignatius Press. 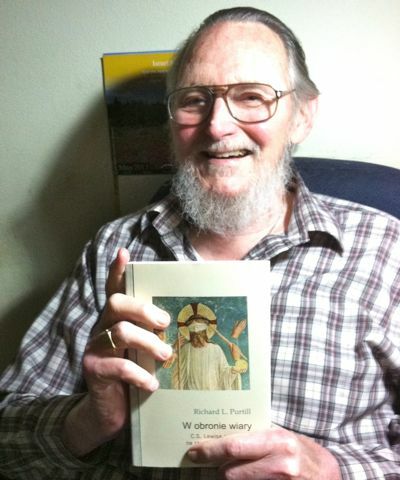 Some of his other non-fiction books have previously been translated into Japanese and German (to see other non-fiction books by Dr. Purtill, click the link at the bottom of the page). "An excellent sampling of Purtill's fiction. Some of the stories are science fiction, some are fantasy, some combine elements of both. Regardless, they are all delightful." -David Loeff. “Prince Casmir is fighting firedrakes in order to rescue Princess Delora when he loses consciousness and wakes up in a hospital bed. Things get really interesting when he finds out the real reason for his abilities. Demons, dragons, damsels in distress and other fantasy items in a science fiction novel would be a little hard to pull off unless you are that unusual writer. This is only one pair of shoes that Richard Purtill can wear and wear well." -Baryon Reviews. Includes a complete SF novel, "The Parallel Man", along with 10 science fiction and fantasy stories, four new to this volume. Reprinted courtesy of the BELLINGHAM HERALD, Bellingham, WA, 24 October, 2008 edition. Bellingham fantasy novelist Richard Purtill's eyes lit up when he was handed what amounted to a pulp paper "time machine." When a visitor showed him a 1943 copy of Startling Stories, he was 12 years old again for a few moments. "That's it, the very first science fiction story I ever read," he said with a grin. "'Pirates of the Time Trail.'" 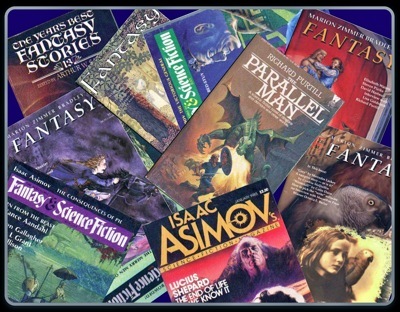 The 77-year-old author began reading science fiction as a boy in Chicago, but he didn't start writing fantasy until he was nearly 50. That was in the middle of a 34-year career as philosophy professor at Western Washington University, where he retired in 1996. He's making up for lost time, still writing novels. He's working on his 10th, fittingly entitled The Philosopher's Stone. His most recent novel, Letter to Nausicaa, appeared earlier this year. Q: Tell me about your writing career. A: I started by writing textbooks, with my first appearing in 1971. My first novel, The Golden Gryphon Feather, was published in 1979 as a paperback original in the long-running DAW science-fiction series. I've also written three books about Tolkien and C.S. Lewis. I think I've done 10 textbooks and nine novels, making it 22 books in all. I've also published a few short stories. Q: Is it true that you don't type? A: I just never learned to type in high school. If I had known I would become an author, I would have taken typing. I've always been able to get help from people who can read my handwriting. I still write my novels that way -- by hand. Q: Why are your stories so influenced by Greek culture? A: I've made 28 trips to Greece. I've just been fascinated by all things Greek. In my novels, the Greek gods really exist. Q: In your novel Murdercon (1982), about murder at a science-fiction convention, the protagonist is a female version of yourself, right? A: I've always been able to write from both the male and female points of view in my novels. My stories are about one-half archaeology and one-half fantasy. Q: Since science-fiction was a relatively unrespected branch of fiction when you started reading it, how did you get involved? A: My dad brought home that issue of Startling Stories because he thought I would like it. I couldn't afford the 15-cent or 25-cent prices, so from that point on I haunted the used-book stores in Chicago for science fiction magazines. I could get them for a nickel apiece. Q: How did you get into teaching philosophy? A: I'm interested in logic, ethics and metaphysics, really pretty much all aspects of philosophy. I would always be willing to teach courses that no one else wanted to. Q: Where were you educated? A: I obtained my bachelor's, master's and doctorate from the University of Chicago. I also spent a lot of time studying at UCLA. It was while I was there that I saw an ad for professors placed by James Jarret, who was then president of WWU. I came to Bellingham to teach in 1962, and I had never seen the town. But I've loved it ever since. copyright 2008, Michelle Nolan, reprinted by permission. new to kaphtu? you can start with any book. Richard Purtill brings a gripping reality. As real as today's news--and vastly more enjoyable." Chryseis' adventures take her to the legendary isle of Kaphtu, where she enters an ancient world of Bull Leapers, gods and half-gods. Ducalion finds the road to Hades is paved with bad intentions when he must venture to the deathlands in search of a kidnapped goddess. The story of Helen of Troy is one of the greatest classics of all time....Here is Helen as a child, kidnapped and held hostage. Here is Helen as a woman, captive in an alien city, while the civilized world sought for her, fought for her. Told as by one who had seen the events, who knew her, who knew the gods who pulled the world's strings, this is a novel that brings it all back in the vivid reflections of the mirror of divine judgement. -Donald A. Wolheim, founder, DAW Books. "Good writing, good story, good mythology." Two women: one an Olympian goddess, one a mortal human being. Two quests. When their quests become one, they must work together to avert a titanic war. On the eve of battle, all roads lead to a mysterious nexus of worlds, the Eleusinian Gate. "These pages bring our gods and mythological creatures back to us." After the Trojan War came the perilous voyage home. Letter to Nausicaa takes up where the Kaphtu trilogy left off, as Odysseus begins his journey back to Ithaca in an adventure fraught with danger. "Richard Purtill is both a clear and commonsensical philosopher and an accomplished fantasy writer." -Peter Kreeft, author The Philosophy of Tolkien. "Purtill constructs a vivid fantasy around his extensive knowledge of, and fascination with, the ancient Greeks. Alice Grant is an independent college freshman doing research at the ruins of Delphi. Drawn repeatedly into the past by the gods Dionysus, Apollo and Athena, she eagerly helps them fight the forces of the dark. Alice's freedom, her adventures in the country whose customs we come to know something about, and her romance with the young Greek Nikos give the story plenty of fascinating action. The gods, too, and the various scenes in which they appear with her are convincingly drawn." -Publishers' Weekly. "A tightly woven story, combining elements of classical mythology with classic contemporary fantasy and time travel fiction, plus a healthy dose of romance." -Susan Harding, Mesquite North Branch Library, Tex. "Purtill penned three fantasy novels drawn from his annual trips to Greece for philosophy conventions and his love of and interest in Greek mythology. In this mystery, he again reworked his experiences into novelistic form: in this case a murder takes place at a fantasy convention. Reviewers of this book (which only appeared in hardback) almost always seized on the con atmosphere which, as anyone who has attended one knows, begs for fictional treatment, but the strength of the book lies in Purtill's philosopher heroine, Athena Pierce, and readers of Murdercon have long clamored for a sequel." -Amazon review.